Quality of a car depends highly on quality and making of its tyres. A major portion of Indian rubber industry is engaged in manufacturing of tyres and tubes. Also export of tyres across the globe brings productive contributions to Indian GDP. Following is a list of best car tyre manufacturing and trading companies in India which provide a wide range of high quality tyres and tubes for automobiles. This company holds 17th position in tyre manufacturing all over the world. Established in 1972, with its first plant in Kerala, the company has its headquarters in Gurgaon. Apollo manufactures a variety of passenger car, bicycles, trucks, truck-bus, off highway heavy vehicle tyres, retreaded tyres under its key brands named Apollo, Dunlop and Vresdestein. Madras Rubber Factory Limited was originally established as rubber balloon industry in 1946 in a shed in Madras and started making tyres in year 1952. By 60’s the company became market leader of tyre industry with 50% as its share. Today, the company specializes in production of a wide variety of tyres for two-wheelers, trucks, buses, tractors, light commercial vehicles, sports cars, luxury vehicles in addition to pretreads, coats and paints. Most of us know MRF through its brand ambassador Sachin Tendulkar. 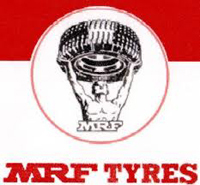 MRF currently has 7 manufacturing facilities in India and is also engaged in being a sponsorer to cricketers and motor car racers. This is a manufacturing company based in Mumbai and is an acronym for Cavi Elettrici e Affini Torino (Electrical Cables and Allied Products of Turin). Established in 1958, CEAT offers broad range of tyres – passenger car radials , motorcycle tyres and truck and bus radial/bias tyres and also specialized tyres for small cars, sedans and SUVs. CEAT is the only tyre company to be awarded the ISO/TS 16949:2002 certification and has an annual turnover of more than 3500 Cr Rs. With 3 manufacturing plants in India, the company exports to over 110 countries and is listed both in BSE and NSE. 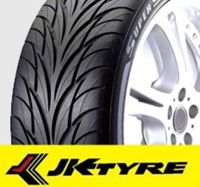 JK Tyres and Industries Ltd.
Found in year 1951, this company has 6 manufacturing plants in India and 3 in Mexico and is engaged in production of automobile tyres, tubes and flaps. One of the leading tyre company in India, this became the first company to offer radial tyres for whole range of automobiles. Besides India, the company is engaged in trade with 45 countries. The company has receivedall four ISO 9001, QS 9000 and TS 16949. Established in 1898 in Akron, Ohio USA, this company has its subsidiary in India named Goodyear India incorporated in 1961. Located in New Delhi, Goodyear India has two manufacturing units in India and trades Goodyear branded radial passenger and off-the-road bias tires. Established in year 1973, the company has a state of art plant at Mysore. After being taken over by the Ruia Group in December 2005, the company has reached new heights. This ISO certified company markets tyres in Indian territory under the brand name of Dunlop and reserves brands named Donin and Falcon for export markets. The tyre range includes unique and unmatched designs of nylon bias ply tyres and butyl tubes for two and three wheelers, passenger cars, jeeps, light commercial and farm vehicles and further plans on including production of passenger car radials. Bridgestone Corporation is the largest tyre and rubber manufacturer in the world and has been working in India since last decade with its headquarters in Pune, Maharashtra. Since then, it has become a major tyre supplier to almost all the reputed car-manufacturing companies in India offering a range of bias, radial and tubeless tyres. Based in Japan, the company was established in 1917. Its Indian headquarters are in Mumbai. Yokohama offers passenger car, light truck and truck-bus, off highway mining tyres and is 8th largest tyre manufacturer in the world. It has 16 modern manufacturing units and is planning on establish one in India. Michelin India Tyres Pvt. Ltd.
One of the largest tyre manufacturers in the world, Michelin was established in 1889 in France. Michelin came to India over 10 years ago and offers a wide range of tubeless tyres and radials for truck-bus, passenger cars, two vehicles and OTR especially designed for Indian market.